How Can I Help My Pet After an Injury, but Before I Go to the Vet? Animals that have been hit by a car, or kicked by a horse, or fallen from a height, will often respond beautifully to the homeopathic remedy Arnica montana. If your animal is ever injured you can give a dose of Arnica 30c by mouth and see the rapid improvement that follows. Is There Really Any Scientific Evidence That Homeopathy Works? A lot of people today are confused about what homeopathy is (and isn’t), and this situation is not helped by the skeptics of homeopathy who go to incredible extents to exaggerate and misconstrue what homeopathic medicine is and who commonly provide misinformation about it. Is There a Good Book to Learn Even More about Homeopathy? I love this question! I wish I had learned more about this wonderfully-effective method of healing at the beginning of my scientific career. What Is the Dr. DoMore Veterinary Project? Integrative and alternative veterinary practitioners come together in an 18 minute documentary about the need for quality veterinary health care. 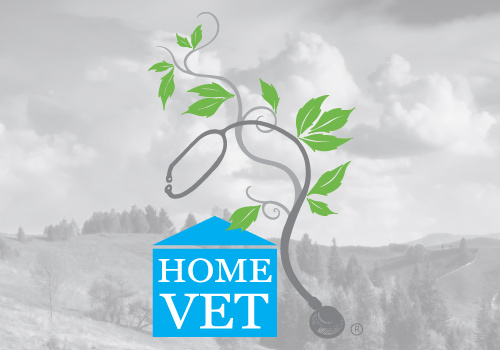 How Can I Find a Veterinary Homeopath? You have many choices for pet care. Unfortunately trained veterinary homeopaths are not (yet) very common. Does Your Veterinarian Really Practice Medicine Holistically? Is Homeopathic the Same as Holistic? I frequently find the word “holistic” confused with “homeopathy”. Why Is My Pet Sick and Can Homeopathic Treatment Help? Homeopathic treatment helps many pets. I am frequently asked why homeopathy would work for my pet when other treatment methods do not? Finally there’s a better way to keep your pet healthy for many years. Look through the holistic binoculars to see what’s really needed. Form a healing team with you in control. What Is the Best Way to Choose a Veterinarian Who Uses Complementary Therapies? This is an excerpt from Dr. Chambreau’s wonderful Healthy Animals Journal. Journaling for your pet provides invaluable information for your veterinary homeopath. Should I Integrate Complementary Methods into My Pet’s Treatment?